Home > 1998 > Authors > Lynnford Beachy > Newsletters > September 98 > Trinity > Truth About God > The Formulation of the Trinity! 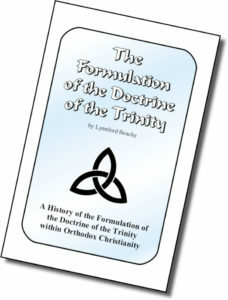 The Formulation of the Trinity! 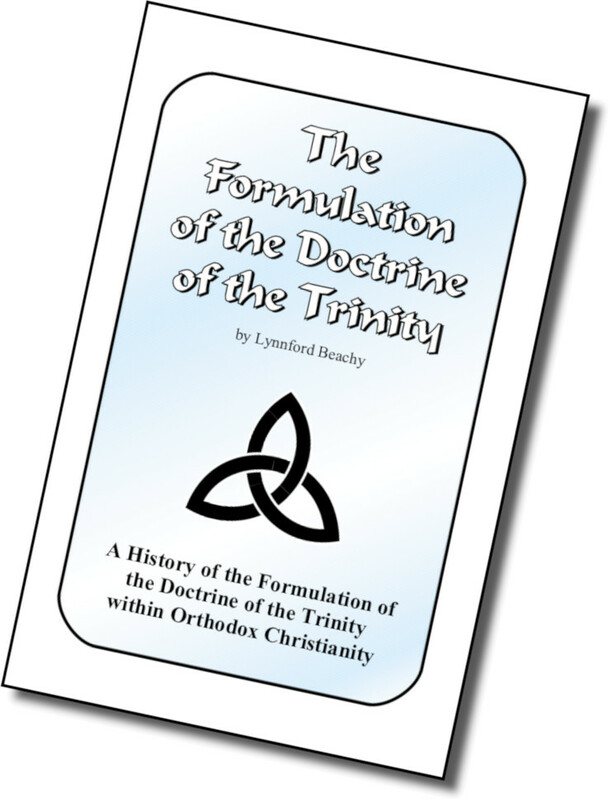 The doctrine of the Trinity has not always been a part of Christian teaching. In fact, this doctrine was not formally stated until the fourth century. It is very interesting to learn about the history of this doctrine. This paper is designed to show how the doctrine began to be discussed, the events that led up to a council regarding it, and the way in which it was finally accepted. Much of the history you are about to learn is taken from a book entitled The Two Republics, written by A. T. Jones and published in 1891 by The Review and Herald Publishing Company, Battle Creek, Michigan. Unless otherwise noted, all the quotations in this paper are taken from this book. The page numbers will be given for reference. All of my own writing will be set in a different type style. First, let us look at how the controversy began. The controversy is often called “the Arian controversy.” We pick up the story by looking at an incident that occurred in the city of Alexandria in the early part of the fourth century. As you can see, this was no small controversy. It is very interesting to note that the main perpetrator of Alexander’s views did not even understand the things which he was so adamant that others accept. Can it be wondered how so many people were reluctant to accept these new views about God? Let’s look at what Alexander’s ideas entailed. According to Alexander, the only difference between the Father and Son is that the Son was begotten. In explaining how the Son was begotten, Alexander quotes Jesus in saying that He proceeded from the Father. Yet in his final statement Alexander asserts concerning the Son, “that He has always been.” Somehow he struggled to reconcile the idea of the Son being begotten with the new idea that He has always existed. We will examine this new idea later in this paper. Let us now look at what Arius taught. “Sailors, millers, and travelers sang the disputed doctrines at their occupations or on their journeys. Every corner, every alley of the city [this was said afterwards of Constantinople, but must have been still more true of Alexandria] was full of these discussions—the streets, the market-places, the drapers, the money-changers, the victualers. Ask a man ‘how many oboli?’ he answers by dogmatizing on generated and ungenerated being. Inquire the price of bread, and you are told, ‘The Son is subordinate to the Father.’ Ask if the bath is ready, and you are told, ‘The Son arose out of nothing.’—Stanley. In an effort to bring the two parties together Constantine wrote a long letter to Arius and Alexander expressing his desire of having a united kingdom. This letter, however, had the opposite effect, because it caused each party to be more eager than ever to gain the emperor’s approval. The contention was deepened rather than abated. In an attempt to settle the matter Constantine called a general council in A. D. 325 held in a city called Nice, thus known as “The Council of Nicaea.” There were 318 bishops present, not including an innumerable company of deacons, presbyters, acolytes, and other attendants. “Then the great question that had caused the calling of the council was taken up. There were three parties in the council—those who sided with Alexander, those who sided with Arius, and those who were non-committal, or, through hope of being mediators, held the middle ground. Arius, not being a bishop, could not hold an official seat in the council, but he had come at the express command of Constantine, and ‘was frequently called upon to express his opinions.’ Athanasius, who was more responsible for the present condition of the dispute than was Alexander himself, though only a deacon, came with his bishop Alexander. He, likewise, though not entitled to an official place in the council, played not a small part in the discussion and in bringing about the final result of the council. “The party of Alexander and Athanasius, it was soon discovered, could depend upon the majority of the council; and they determined to use this power in the formulation of such a statement of doctrine as would suit themselves first, and if it should be found impossible for the party of Arius honestly to accept it, so much the better they would be pleased. “Next the draft of a creed was brought in, signed by eighteen bishops of the party of Arius; but it was not suffered to exist long enough for anybody ever to obtain a copy. Their opponents broke into a wild uproar, tore the document to pieces, and expelled Arius from the assembly. It is clear that Eusebius of Cæsarea understood that Christ was begotten (born) by the Father before all things. In his book he also quotes Proverbs 8:22-30 to prove his point. 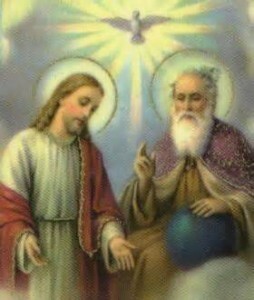 The strange idea that the Father and the Son were both unbegotten (without beginning) was new to the people at that time. They had always understood that there is one unbegotten (without beginning) and another begotten by Him (with a beginning). This was the common understanding of the majority of people at the time of, and prior to, the Council of Nicaea. Let’s carry on with the events of the Council of Nicaea. Eusebius of Cæsarea had just presented the creed which had been largely used prior to the controversy. Please notice that the Arians were in harmony with the teachings of Christians prior to the Council of Nicaea as presented in Eusebius’s creed. Yet this did not suit the party of Alexander. “As Constantine had approved the creed already read by Eusebius, the question of the party of Alexander now was whether he would approve it with the addition of this word, and the hopes of both parties now hung trembling upon the emperor. Hosius and his associates, having the last consultation with him, brought him over to their side. At the next meeting of the assembly, he again presented the creed of Eusebius, approved it, and called upon all to adopt it. Seeing, however, that the majority would not accept the creed of Eusebius as it was, Constantine decided to ‘gain the assent of the orthodox, that is, the most powerful, part of the assembly,’ by inserting the disputed word. ‘He trusted that by this insertion they might be gained, and yet that, under the pressure of fear and favor, the others might not be altogether repelled. He therefore took the course the most likely to secure this result, and professed himself the patron and also the interpreter of the new phrase.’—Stanley. 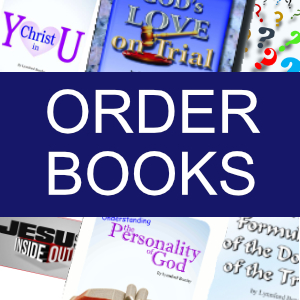 “‘We believe in one God, the Father Almighty, Maker of all things both visible and invisible. “‘And in one Lord Jesus Christ, the Son of God, begotten of the Father, only begotten, that is to say, of the substance of the Father, God of God, Light of Light, very God of very God, begotten, not made, being of one substance with the Father, by whom all things were made, both things in heaven and things in earth; who for us men, and for our salvation, came down, and was made flesh, and was made man, suffered, and rose again on the third day, went up into the heavens, and is to come again to judge the quick and dead. “‘And in the Holy Ghost. This is what the Catholic Church teaches today. They claim that the term, “eternally begotten” means that Christ was begotten of the Father in one ceaseless action. They claim that Christ has been in the process of being begotten forever in the past, is still being begotten, and will continue to be begotten forever in the future. They apparently adopted this idea in an attempt to reconcile this new teaching of Christ always existing with the plain Bible statements that Christ was begotten of His Father. Notice this interesting quote taken from a letter written by Arius. As you can see, the new idea that Christ has existed as long as the Father was not generally accepted before the Council of Nicaea, nor after the council did all Christians accept this new idea. Let us also notice another change that has been made to the Nicene Creed since the time it was originally written. The term “of one Being with the Father” was added into the new creed, describing their current belief that the Father and the Son are the same being. When the Nicene Creed was first signed by those at the council, some were specifically concerned with the term “of the substance of the Father.” They were concerned that some may take this to mean that the Father and Son are the same Being. Please notice the following quotation taken from a letter written by Eusebius of Cæsarea. It is very clear that Eusebius of Cæsarea did not believe that Christ was a created being in any way but that he was begotten of His Father, thus making Him of a much higher nature than any created being. It is also interesting to notice that Eusebius of Cæsarea was writing to Arians, defending his signing of the creed. This view did not seem to be contrary to the beliefs of the Arians. Also, his belief that Christ was begotten rather than created was accepted by the party of the Athanasians as suitable to allow him to continue in his position as a bishop. Eusebius wrote that it appeared to him, along with his associates, as if the terms “of the substance of the Father” and “consubstantial with the Father” entirely agreed with what Eusebius had first brought out as a statement of beliefs, which beliefs the Arians all agreed to subscribe to. The disputed terms were added to the creed, and depending upon the definition of those terms, even some of those of the Arian persuasion could agree to the creed. Yet with the terms being added to the creed all it took was a revision of the definitions of the terms at a later date to come up with the teachings which the Catholic Church holds today. Now back to the description of the council found in The Two Republics. The original Nicene Creed was just read before the assembly. The dispute involved definitions of words not even found in the Bible. The difference of the words were so minor that it was hard to determine just what the difference was. Even the leading supporter of the Arian view was willing to subscribe to the main body of the new creed. It is interesting that the history of the Arian controversy has been so well hidden that it is hard to determine just what Arius believed. Yet it seems doubtful that all the accusations brought against Arius and those of like persuasion are accurate. 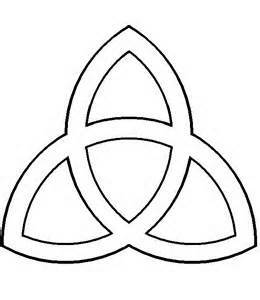 It had become the general rule to brand all those who did not subscribe to the Trinity doctrine as Arians. Since it is commonly thought that Arians believe that Christ is a created being, and thus not divine, it has been the continual accusation that if you deny the Trinity doctrine, you believe that Christ is a created being, and deny the divinity of Christ. This accusation, when applied to those who dissented with the accepted teachings of the Catholic Church on this subject, has seldom been accurate. “In a. d. 327 died Constantine’s sister, Constantia. She had held with the Arian party, having an Arian presbyter as her spiritual adviser. This presbyter had convinced her that Arius had been unjustly condemned by the council. In her dying moments ‘she entreated the emperor to reconsider the justice of the sentence against that innocent, as she declared, and misrepresented man.’ Constantine soon afterward sent a message to Arius, recalling him from banishment, and promising to send him back to Alexandria. Arius came and presented a confession of faith which proved satisfactory to the emperor. About the same time Constantine also restored to favor the other two leading Arians, Eusebius of Nicomedia and Theognis of Ptolemais. ‘They returned in triumph to their dioceses, and ejected the bishops who had been appointed to their place.’—Milman. Hosius having returned to his place in Spain, Constantine fell under strong Arian influences, and the Arian bishops began to use him for the accomplishment of their purposes. The Arians had finally won the support of Constantine, and Constantine was now even traveling around the empire with the chief theologians in the Arian party. 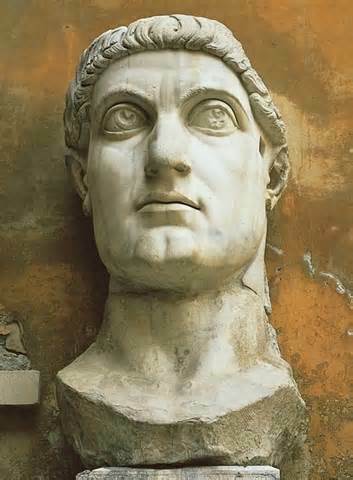 The Arian influences upon Constantine were very strong indeed. They were successful in sending Athanasius into exile five different times by the power of the emperor. “Athanasius was again condemned, and banished to Treves in Gaul, February, a. d. 336. Scenes like these were not uncommon. The marriage of the church with the state resulted in every kind of violence. Bishops were elected and ordained while being surrounded by heavily armed guards to protect them from the mutinous crowds over which they were to preside. Constantius used his power to persuade all to sign. Just as his father before him, Constantius threatened banishment upon all those who would not sign his creed. Notice what is written about the Council of Milan just a few years prior to this council. “He then declared that whoever did not sign might expect banishment. At this the orthodox bishops lifted up their hands beseechingly towards heaven, and prayed the emperor ‘to fear God, who had given him the dominion, that it might not be taken from him; also to fear the day of judgment, and not to confound the secular power with the law of the church, nor to introduce into the church the Arian heresy.’—Hefele. We can learn an important lesson from this episode. Anytime someone uses force, whether by the government or by any other means, to persuade others to believe as they do, they are certainly following the course of Satan and all his followers. There is no sanction in the Bible for using force to persuade others to believe a certain way. This spirit was manifested by the Catholic Church many times throughout the Dark Ages. This spirit is the spirit of the devil. Let us ever remember this valuable lesson. Constantius succeeded in making the Arian doctrine orthodox in A. D. 360. “The emperor’s confession was then published throughout the whole empire, and all bishops were commanded to sign it, under penalty of exile upon all who refused. ‘This order was executed with the utmost rigor in all the provinces of the empire, and very few were found who did not sign with their hands what they condemned in their hearts. Many who till then had been thought invincible, were overcome, and complied with the times; and such as did not, were driven, without distinction, from their sees into exile, and others appointed in their room, the signing of that confession being a qualification indispensably requisite both in obtaining and keeping the episcopal dignity. Thus were all the sees throughout the empire filled with Arians, insomuch that in the whole East not an orthodox bishop was left, and in the West but one; namely, Gregory, bishop of Elvira in Andalusia, and he, in all likelihood, obliged to absent himself from his flock and lie concealed.’—Bower. This period of history is quite well ignored by most Catholics. Few would want to admit that the Arian doctrine was considered orthodox at any time in the history of the Catholic Church. This was not, however, the end of the controversy. As we will see, the Athanasian doctrine was again established in the Catholic Church. “In 375 Valentinian died, and was succeeded by his two sons, Gratian, aged sixteen years, and Valentinian II, aged four years. “Gratian was but the tool of the bishops. Ambrose was at that time bishop of Milan, and never was episcopal ambition more arrogantly asserted than in that insolent prelate. Soon the mind of the bishop asserted the supremacy over that of the boy emperor, and Ambrose ‘wielded at his will the weak and irresolute Gratian.’—Milman. But above all things else that Gratian did, that which redounded most to the glory of the Catholic Church was his choice of Theodosius as associate emperor. Valens was killed in a battle with the Goths, a. d. 378. A stronger hand than that of a youth of nineteen was required to hold the reins of government in the East. “This law was issued in the names of the three emperors, Gratian, Valentinian II, and Theodosius. ‘Thus the religion of the whole Roman world was enacted by two feeble boys and a rude Spanish soldier.’—Milman. “At the beginning of the year 381 Theodosius issued an edict expelling from all the churches within his dominions, all the bishops and other ecclesiastics who should refuse to subscribe to the creed of Nice. By a commissioned officer with a military force, the edict was executed in all the provinces of the East. Having thus established his religion throughout the empire, the next thing to do was to have a general council endorse his action, compose the disputes which disturbed the Catholic party itself, and again settle the faith of the Catholic Church. To this end a general council was called to meet at Constantinople this same year, a. d. 381. Up until this time the main part of the controversy was over the relationship of the Father and His Son. But with this new creed the addition of the Holy Spirit as a third individual was added. 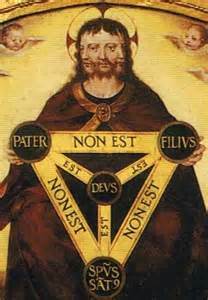 It was thus that the actual doctrine of the Trinity was first presented in a creed. Although the doctrine of the Trinity was voted by the majority, many would not subscribe to the teachings of the Catholic Church on this matter. The Waldensian Christians, who held the true gospel throughout the Dark Ages, did not believe in the doctrine of the Trinity. Those who rejected the doctrine of the Trinity did so because it affected many other doctrines. To this day, the papacy admits that the doctrine of the Trinity was formulated by her. The Catholic Church did not acquire the doctrine of the Trinity from the Bible, but rather adopted it from the pagan religions. many other Catholic teachings, although they have no plain biblical evidence to support it. Many people would like you to believe that the Trinity doctrine has always been a part of Christian teaching. However, it is clear that this teaching was adopted by the Catholic Church long after the death of Christ and His apostles. It is also clear that the early Christians did not hold to this doctrine. From the beginning of time to Christ’s day and beyond, God’s people have believed that Christ was brought forth (born) before all time and that God, His Father, gave Him up for us. “For God so loved the world, that He gave His only begotten [born] Son, that whosoever believeth in Him should not perish, but have everlasting life.” (John 3:16) This was the belief of the Apostles, this is the belief that God’s people carried up to the fourth century, this is the belief that God’s people preserved in the wilderness throughout the Dark Ages, and this is the belief that God’s true church will cling to at Christ’s return. Let us forsake the fundamental error of the Trinity, which can be traced no further back than the fourth century unless you look to the pagan religions. I pray that you will stand with the few, with the faithful, who reject this unscriptural doctrine; not because I wish to stand at variance with the Catholic Church on this doctrine, but because this doctrine has negative results upon the atonement and many other aspects of our Christian faith. We will be going into this point in more detail in our next issue.